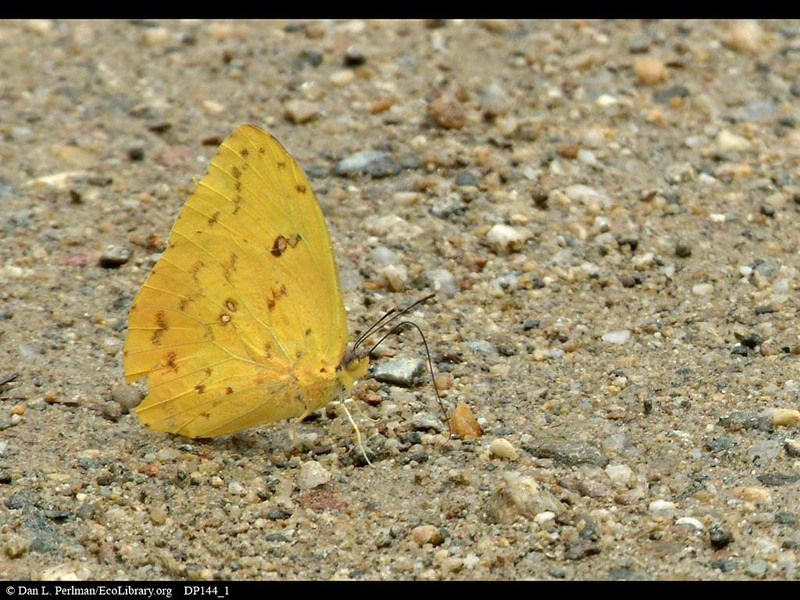 ECOLIBRARY :: DISPLAY - BUTTERFLY "PUDDLING"
Butterfly "puddling" to obtain minerals, Brazil. Butterflies can sometimes be seen sipping liquid from puddles, rather than taking nectar from flowers. Biologists believe that this puddling behavior enables the butterflies to get nutrients that are otherwise in short supply in their diets. In this image, the butterfly is puddling on what appears to be dry ground, but there must be some dissolved minerals in a bit of water, as butterflies can only take in liquid food.